Millennium Seoul Hilton’s Japanese restaurant, Gengi, is offering a promotion of swellfish dishes, which are considered a delicacy in Japanese cuisine. 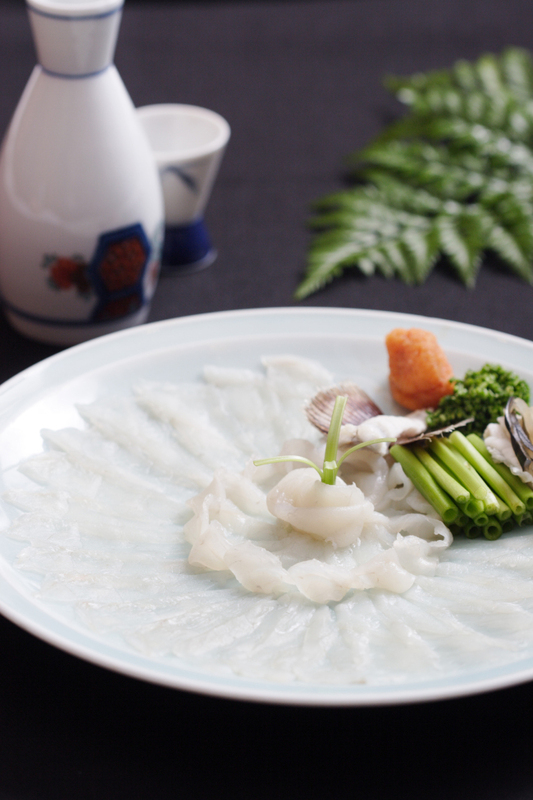 The finest flavors and tender texture of swellfish, or fugu, are brought to life by the hotel’s veteran chefs. Genji’s chefs are offering various swellfish dishes on both the a la carte menu and Kaiseki menu. The dishes will include swellfish sashimi, swellfish in a stone pot, grilled swellfish, deep fried swellfish, swellfish porridge and more. A la carte prices range from 29,000 won to 120,000 won, while the eight-course Kaiseki menu is priced at 225,000 won per person. For reservations and inquiries, call Genji at (02) 317-3240. 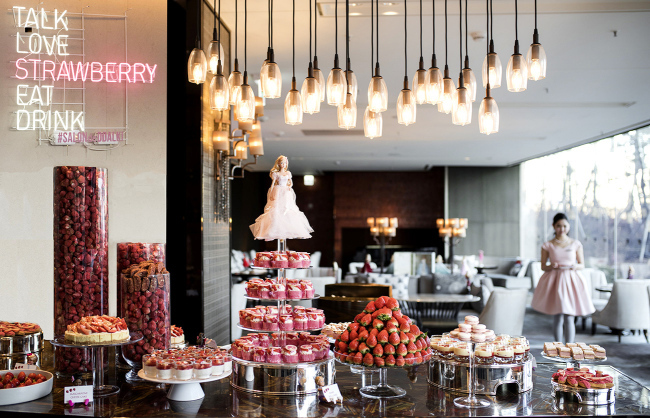 Sheraton Grand Incheon Hotel will offer a strawberry buffet at its lobby bar every Friday, Saturday and Sunday from 1 p.m. through 5 p.m. from Jan. 12 through April 15. Available desserts are strawberry mascarpone cream, strawberry pies, strawberry cream cheese tart, strawberry mud cake, strawberry tiramisu, strawberry brown bread sandwich, strawberry salad and more. Fusion dishes include strawberry maki, strawberry kimbap and strawberry sweet and sour pork. The buffet costs 29,000 won on Fridays and 39,000 won on weekends. For reservations and inquiries, call (032) 835-1712 or 1713. Grand InterContinental Seoul Parnas and InterContinental Seoul Coex are offering winter packages from Jan. 1 through Feb. 28. The package provides either a multibag containing a long-padding jacket or a cosmetics multiuse stick. A free breakfast buffet is also offered. Raffle tickets are given for room vouchers and buffet vouchers. Guests have access to swimming pools and fitness clubs. The package costs 250,000 won at Grand InterContinental Seoul Parnas or 215,000 won at InterContinental Seoul Coex. For reservations and inquiries, call Grand InterContinental Seoul Parnas at (02) 559-7777, or InterContinental Seoul Coex at (02) 3430-8888. JW Marriott Dongdaemun Square Seoul is offering a buffet of strawberries and desserts with coffee and tea at The Lounge from Dec. 20. Desserts prepared by Canadian chef Chad Yamagata, including tarts, cakes and macarons, are served unlimited. 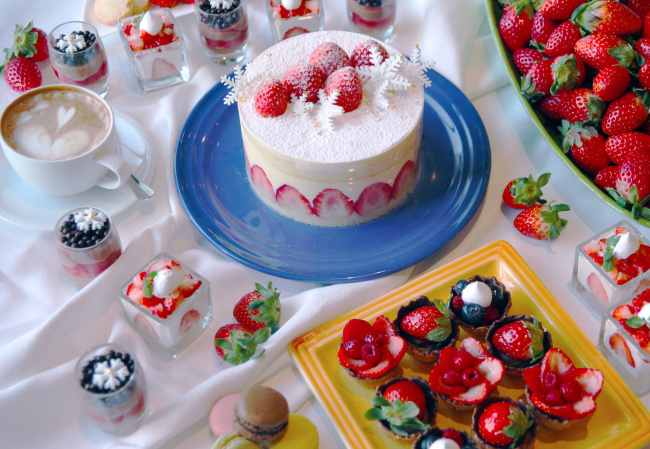 Other desserts include: strawberries with chocolate fondue and cream; strawberry madeleines dipped in chocolate; strawberry champagne cupcakes; strawberry pound cake; strawberry opera cake with mousse; tiramisu with cream and strawberries; strawberry mochi with glutinous rice cakes; mascarpone strawberry cheesecake; and strawberry macarons. Guests can order one dish, such as pasta and sandwich, alongside a choice of strawberry milkshake, strawberry parfait, strawberry latte, sparkling wine and rose cocktail. Price is 55,000 won per person, the seatings are two hours each. For reservations and inquiries, call (02) 2276-3336. Novotel Ambassador Seoul Gangnam is offering two New Year packages ideal for couples and families through Jan. 18. The “Ring in 2018 1” package provides a one-night stay in a standard room, two glasses of draft beer and chili cheese fries and access to a fitness center and a swimming pool. Guests born in the year of the dog will receive free breakfast at the hotel’s restaurant. The package starts from 171,500 won. 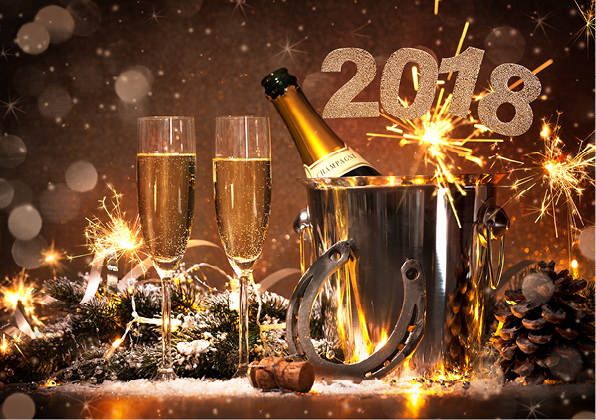 The “Ring in 2019 2” package provides a one-night in a superior room, breakfast buffet for two, two glasses of draft beer and chili cheese fries and access to a fitness center, swimming pool and sauna. Unlimited draft beer is provided for guests born in the year of dog. The package starts from 231,500 won.